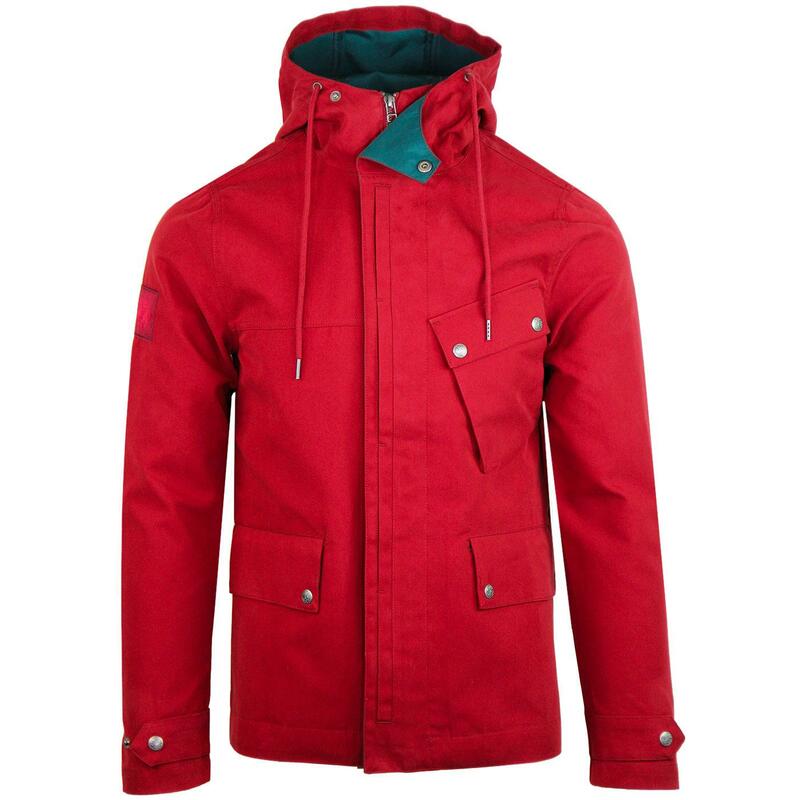 Pretty Green men's retro contrast colour trim hooded jacket in red. A sublime contrast teal trim accentuates the interior storm flap, hood and lining of this Pretty Green casual short parka style jacket. 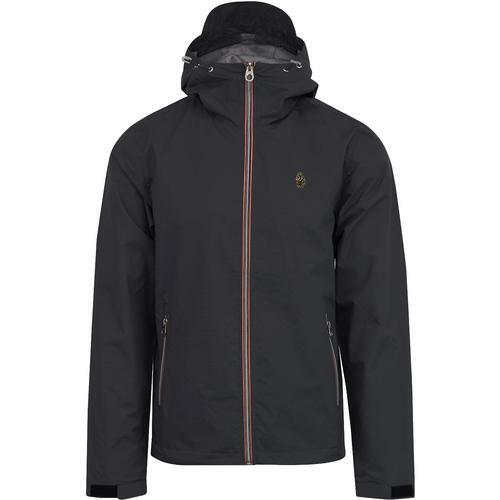 Possessing an air of 1990s indie Britpop charm, this hooded jacket benefits from practical pocket details, mod parka hood, signature Pretty green snap studs and retro drawstring adjusters. A fairly lightweight hooded jacket making it the ideal transitional outerwear piece to see you through cooler spring and summer days. 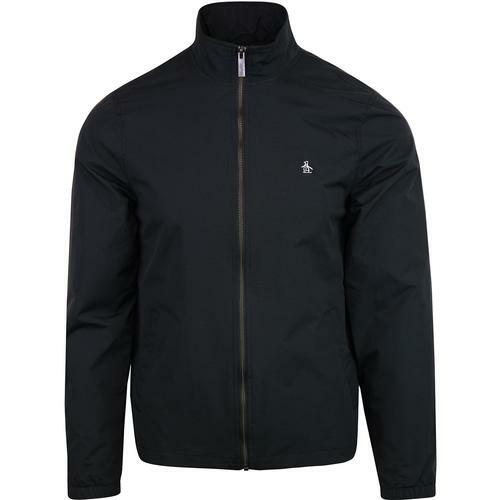 This Pretty Green retro contrast colour hooded jacket is a stand out statement piece with a casuals and terrace vibe. 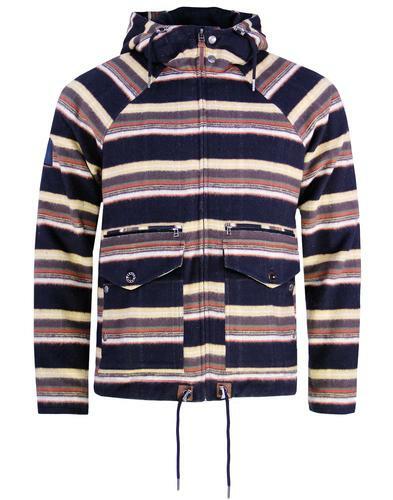 Pretty Green men's retro contrast trim hooded jacket in red. Casual mod parka silhouette with hood and drawstring. 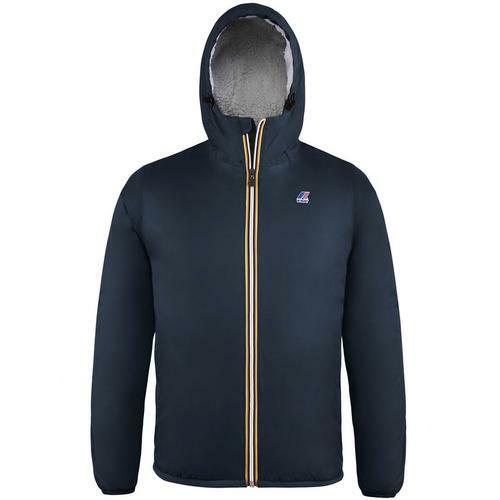 Zip through jacket with storm flap overplacket. Contrast teal to inner storm placket, hood and lining. Composition: 74% cotton, 26% nylon. Other fibres: 100% polyester. Care: Cool machine wash on delicate cycle. Please refer to garnent care label. 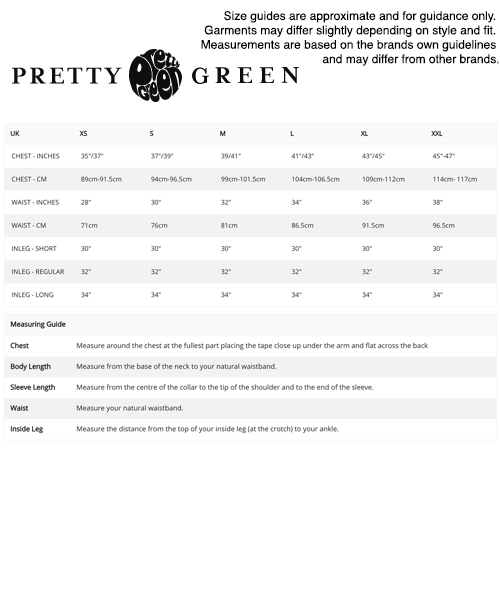 SKU: S9GMU11000002 Pretty Green Contrast Colour Hooded Jacket.